Escape Rooms coming soon - Will you escape in time? Escape Rooms Nottingham… Can you escape the Demon Barber? If you’re a regular at our Nottingham Pie Shop, you might have noticed some rather unusual noises coming from the top floor of the restaurant over the past couple of weeks. Whilst our delicious pies have been crisping up in the oven, our Pie Crew have been secretly working away on the design and build of two brand new escape rooms launching on the 4th of December! Our team has worked tirelessly to transform the space into two, fully themed and elaborate escape rooms that will absorb you into the gritty story lines and excitement of the game. Both rooms are packed with mind-bending riddles and cryptic puzzles that will put even the most tenacious minds to the test. 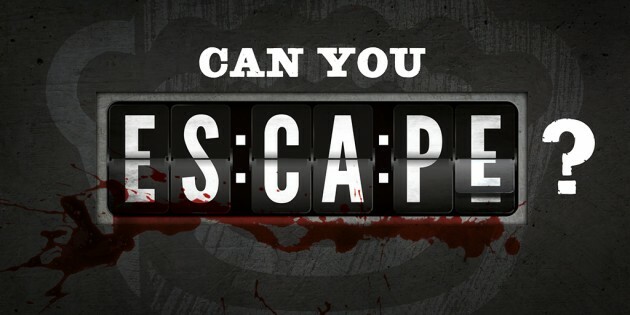 With 60 minutes on the clock, teams will need to work together to escape before the time is up, or they will suffer an untimely fate! Will you escape the clutches of the Demon Barber? Set on the dark and mysterious cobbles of Victorian Fleet Street – a place we all know too well for its infamous history of ruthless murder and brutality – room one takes a spin on the legend of Sweeney Todd and his infamous barber’s shop. Teams will have 60 minutes to find the clues and solve the riddles to save themselves and escape the clutches of the Demon Barber! Or take on the challenge to stop an apocalyptic Germageddon? Room two is set in the control room of a derelict laboratory, with team mates on a dangerous mission to prevent an apocalyptic chemical outbreak. With the clock counting down from 60 minutes, teams must find the hidden code to discharge the reactor while the fate of the entire human race lies in their hands. Rooms can be booked for exclusive use by 2-5 players for an hour of thrills and fun, so all you need to do is pick your team (choose them carefully or the room will win) and decide on which room to escape from. When you turn up, you’ll be locked in the room and then it’ll be up to you to lead your team to safety against the ticking clock… Best get a shimmy on as snoozing will most definitely lead to losing in this scenario. Prepare yourselves for one hell of an experience!